Bats are fascinating mammals about which we still have much to learn. As well as using ultrasonic echolocation calls for orientation and while foraging, they also have a complex array of vocalisations for communication. These are known as social calls and are an essential component of their colonial lifestyle. Social Calls of the Bats of Britain and Ireland brings together the current state of knowledge of social calls relating to the bat species occurring within Britain and Ireland, with some additional examples from species represented elsewhere in Europe. It includes access to a downloadable library of calls to be used in conjunction with the book. Social calls are complex and intriguing to listen to; they are after all produced with listeners in mind (other bats). To enjoy and fully appreciate social calls the reader must also have the opportunity to become a listener: each of the presented sonograms in Social Calls of the Bats of Britain and Ireland is cross-referenced to downloadable 'time expanded' .wav sound files which are contained within a much wider library of calls for you to explore. 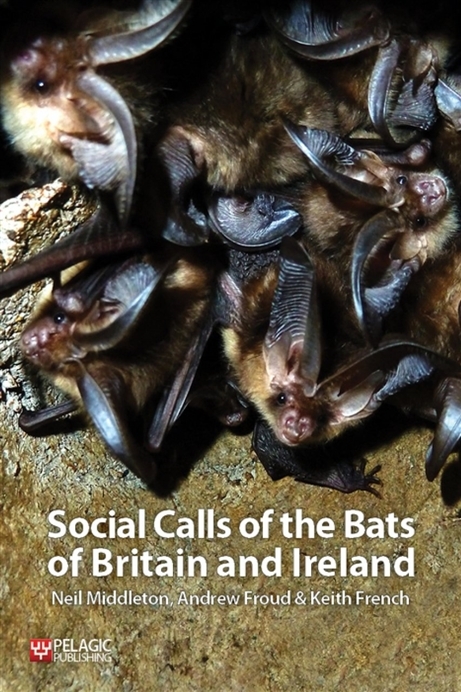 The authors start with an overview of the species of bats in Britain and Ireland (Chapter 1), and then introduce us to communication within the social world of bats (Chapter 2). Referencing the latest research, the authors explore how these calls can be classified according to their structure, and in many cases the context in which the calls are thought to be emitted (Chapter 3). Chapter 4 addresses aspects of survey methodology to be considered by those studying social calls. This leads on to the analysis of calls (Chapter 5), detailing the specific methods used and parameters commonly measured by researchers. The final, and main chapter (Chapter 6) introduces the 23 species covered in the book giving each a detailed profile including: habitat preferences, typical roosting locations, roost emergence times, mating strategies and maternity behaviour. Each species profile includes what is known about the social calls for that species and this text is supported by colour sonograms (created using Pettersson BatSound V4.1) of most of the calls discussed. Each sonogram is linked to a .wav sound file (Time Expansion x10) within the downloadable library. The sound files allow the reader to hear, as well as see, the calls produced using any bat sound analysis software that supports the .wav format. The authors conclude with a bibliography and an extensive list of references directly cross-referenced throughout Social Calls of the Bats of Britain and Ireland.